If you’re looking for golden and glowing skin for the summer, look no further. Nourish Skincare have launched the NEW! 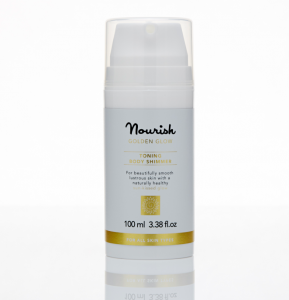 Nourish Golden Glow Toning Body Shimmer (100ml, £25.00) in a handy pump bottle and it’s now available at Debenhams. Perfect for on the beach, at a party or for every day radiance, this beautiful body shimmer will leave your skin firm, toned and sporting a sun-kissed glow. 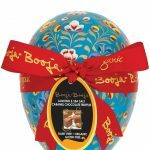 77% organic, key ingredients include Frankincense, Myrrh and Neroli Oil that not only impart a divine scent but balance and rejuvenate with skin. Team with the perfect partner, the Nourish Golden Glow Illuminating Face Shimmer (30ml, £16.00). This skin perfecting highlighter provides both skincare and cosmetic benefits including illuminating tonka bean and collagen building tri-peptides that will leave your complexion looking more youthful and lustrous with a vibrant and natural glow. Nourish uses natural bio-actives with cutting edge ingredients to keep skin in optimal condition. By harnessing potent natural and organic plant extracts and oils, light reflecting mica particles and cutting edge bio-actives, this unique iridescent shimmer locks in moisture, enhances skin tone and leaves a 24Karat finish on the face, limbs and décolleté.